A debate about the Post Office scheme to redress the grievances of subpostmasters, who have been fined and even imprisoned as a result of alleged problems with the accounting system they use, will be held on 17 December in Westminster Hall. A 90-minute adjournment debate at 2.30pm will be held after James Arbuthnot, MP for Hampshire North East, applied successfully for a debate on the subject to be held in Parliament. Last week, 140 MPs, led by Arbuthnot, removed their support for the Post Office investigation and mediation process for subpostmasters. This followed a loss of faith in the process. 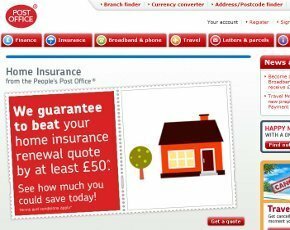 In 2009, Computer Weekly revealed the stories of subpostmasters who had received heavy fines and even jail terms for alleged false accounting, which they blamed on the Horizon accounting system provided by the Post Office. Arbuthnot told Computer Weekly he hopes the debate will give his campaign the opportunity to “stop the Post Office acting as its own prosecutor” by bringing the cases to the government’s attention. He also hopes the debate will ensure he can prevent any evidence collected in the investigation from being destroyed in the future and try to prevent the Post Office using the time passed since claims were made as a reason for not hearing them under the statute of limitations. He will also call for a government review. Arbuthnot said: “I have been leading a group of over 140 MPs all of whom have constituents who have been subpostmasters affected by shortfalls which have mysteriously appeared during the course of their business and for which they have been made liable by the Post Office. “In recent months MPs have discovered that the Post Office was using the procedures of Mediation Scheme to argue that most of the cases giving rise to concern should not, despite what was agreed with MPs, be permitted to go through mediation. This was done without the Post Office’s telling MPs they were doing it,” he added. Last week Arbuthnot announced he no longer supported the Post Office investigation. Although a fault has never been found with the Horizon software, there are questions over the processes that surround its use, including systems that interface with it and training. Watch the debate live here at 2.30pm on Wednesday 17 December.